Giant dairy co-operative Fonterra has set a date for the early payment of half of its proposed 20c final dividend for its current financial year and says it's "good" operating performance is expected to continue in the final three months of the financial year ending July. When Fonterra announced its interim results in March, the company forecast a full-year dividend of 40c and said it hoped to pay the last 20c of this in two instalments, earlier than usual, to assist farmers struggling with the depressed global dairy prices. Fonterra said at the time the early payment was conditional on the company's performance continuing to support its forecast earnings per share of not less than the 45c to 55c forecast range per share. Chairman John Wilson said a solid performance during the nine months to April 30 had enabled the co-operative to declare a 10c per share dividend today. "Payment will be made on 7 June, bringing dividend payments so far this year to 30 cents per share. Wilson said ongoing financial discipline and the business’ performance were resulting in strong cash flow and the company was on target to meet its goal of reducing gearing to between 40% and 45% by the end of the financial year. He confirmed that the opening 2016/17 season forecast Farmgate Milk Price for farmers would be made at the end of this month. The forecast for the current year in progress is $3.90 per kilogram of milk solids, which with a projected dividend payment of 40c will make for a total payout for the season of $4.30. See here for the full dairy payout history. “While the milk supply and demand imbalance continues to impact global milk prices and our forecast Farmgate Milk Price, the business is delivering on strategy and has maintained the good performance levels seen in the first six months of the financial year," Wilson said. The earlier dividend payment met the company's goal of getting cash to farmers earlier in winter "when they need it", as was signalled at the interim results announcement, he said. He said Fonterra's forecast New Zealand milk collection for the current season is 1,558 million kgMS, which is 3% lower than last season. Chief executive Theo Spierings said despite lower milk collections, the gross margins in the company's ingredients business improved to 16%. “We have continued to optimise our product mix by adjusting volumes away from reference products, such as Whole Milk Powder, towards non-reference products, such as cheese and casein, to take advantage of the relative pricing. “A strong sales performance has resulted in ingredients inventory volumes being 11% lower than the same period last year." 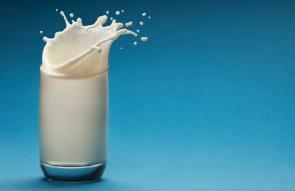 The company's determination to convert as much milk as possible into the highest-returning products has resulted in an additional 300m litres on a liquid milk equivalent (LME) basis going to consumer and foodservice products in the past nine months. The continuing strong performance of our consumer and foodservice businesses is reflected in gross margins which have increased to 28%, supported by volume growth of nine per cent and lower input costs, Spierings said.